Singapore-listed Yanlord Land Group has bought up stakes in a pair of residential sites in the northern Chinese city of Tianjin for a total of RMB 7.55 billion ($1.2 billion), the mainland developer announced. Yanlord, through its unit Nanjing Renyuan Investment, spent around RMB 4.6 billion to acquire a 19.8 percent stake in Tianjin Hefa Property Development, which owns the rights to develop Land Parcel 188 in Tianjin’s Bei Chen district. The Singapore-listed developer also scooped up a 16.5 percent interest in Tianjin Lianzhan Property Development, which owns the adjacent Land Parcel 189, for around RMB 2.95 billion. The sites in the northern suburb of Tianjin are zoned for residential use with a maximum GFA of 165,188 square metres and 250,446 square metres, respectively. In addition to shelter, the projects will include schools for children from pre-primary to secondary levels and other amenities. Before Yanlord bought into the pair or projects, Tianjin Hefa was already a joint venture between property developers Capital (Tianjin) Property Management, Beijing Fang Xing Yi City Properties, Tianjin Realty Development, Tianjin Zhao Sheng Real Estate and NJ RY. 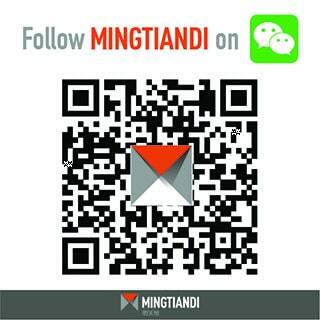 Tianjin Lianzhan is a joint venture between the same four firms plus Tongxiang Anhao Investment Management. “Nestled in the outer fringe of Tianjin’s city center, these projects are ideally situated for the development of a prime mixed-use development that will serve to further augment our business development,” he added. Shanghai-based Yanlord established a foothold in Tianjin in 2004 and currently has two other projects in the city, as well as a presence in neighbouring Tangshan, which forms of the “Bohai Economic Rim” surrounding the Bohai Sea. Yanlord’s portfolio is already spread across ten cities in China, including Shanghai, Shenzhen, and a number of second-tier markets. In January of last year, the developer picked up a site in Nanjing, the capital of eastern China’s Jiangsu province, for RMB 7.84 billion ($1.13 billion) to build an integrated development including apartments, offices and commercial units. 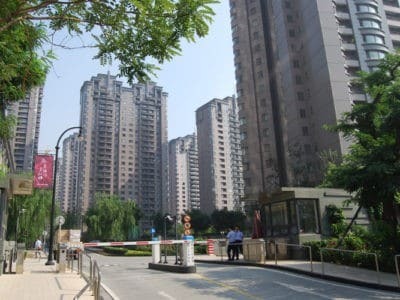 The previous September, the second-tier city enthusiast bought a pair of land plots in eastern China’s Suzhou for RMB 3.7 billion ($753.7 million). Located in the city’s Gusu district and Gao Xin district, the plots offer a total GFA of 106,232 square metres. That marked Yanlord’s second Suzhou deal in 2016, after the developer picked up a 30 percent stake in a 3.2 million square foot residential site in Gusu district in July.